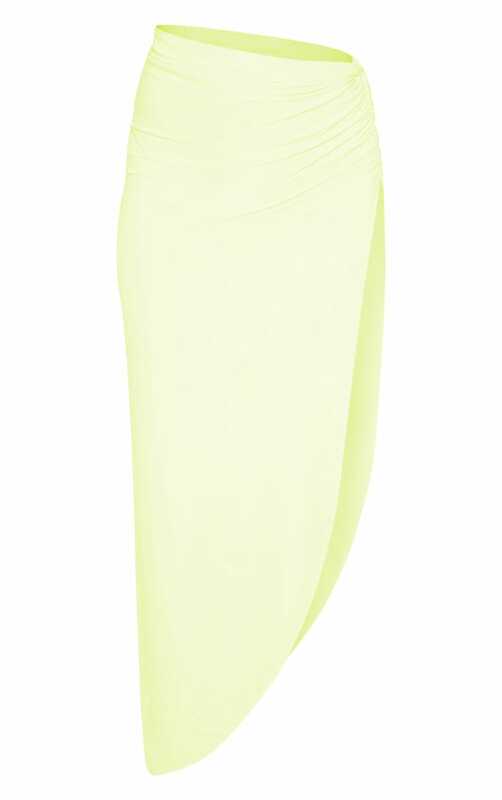 Steal all the stares in this neon yellow co-ord skirt girl. Featuring a yellow slinky material with a ruched detail and a thigh split. Style this maxi skirt with the matching crop top and barely-there heels, complete the look with a statement clutch.